Springpaw plus hyena makes a 6/4. Sure it's frustrating sometimes, but there are quite a few ways to deal 4 damage. How do I deal with Frostlich Jaina? Is Wall Priest becoming meta? I've seen it a few times lately. At least 6 last night and today. 02/08/2019 10:11 PMPosted by SquidLips It's still consistent, it just eases some pressure in the very early gameI think regardless of how they are fixed. This is one of the biggest issues that needs to be addressed. The snowball starts are too easily achieved as is. I hope not. Having only 3 different secrets at one time is too easy to play around. I think that is one of the reasons rogue secrets have seen so little play since they were printed. Hegemonkey #1263North AmericaSelf proclaimed 'king of casual' :P. I love to make decks and test and tweak them. Especially fond of being tricksy and unpredictable :P. Casual is my preferred game mode but I have been playing ranked this month to see how good one of my Homebrews is and I'm currently rank 3! I dabble with arena as well from time to time. 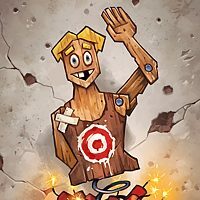 I'm on a lot and always down to complete quests or help others practice matchups or tweak their decks. If you were running skulking gheist in your list before the nerfs, you could swap it for the Black knight now that cold blood and hunters mark are 2 mana.